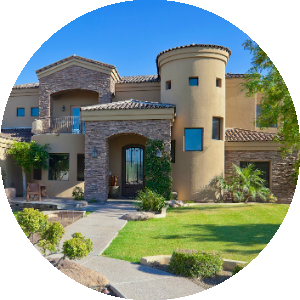 Search McCormick Ranch homes for sale & real estate in Scottsdale AZ below. McCormick Ranch is what many like to call “Classic Scottsdale”. It encompasses 3,116 acres, is located in the 85258 Zip Code, and holds a special place in my heart. My grandfather, George Fretz, was the City Planner in Scottsdale at the time of it's development in 1972, and I think he did one heck of a job. 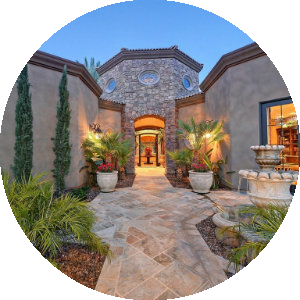 Contact your Scottsdale Arizona real estate experts today for information about McCormick Ranch neighborhood properties for sale or to schedule a private home tour. Awesome Schools. McCormick Ranch lies within the Scottsdale Unified School District, which consistently ranks as the top school district in Arizona. Location. 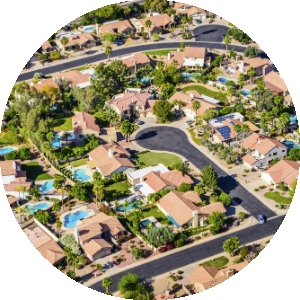 Just 2 minutes from the 101 Freeway, and 5 minutes from the 51 Freeway, McCormick Ranch allows you to get to anywhere in the Metro Phoenix area. A short 15 minute drive brings you to Downtown Phoenix and Sky Harbor Airport. Homes With Character. Sorry, but if you're looking for a "cookie-cutter" tract home subdivision, McCormick Ranch isn't for you. The homes in this area exemplify character, and very few homes look/feel alike. Outdoor Activities/Recreation. With two 18-hole championship golf courses, 25 miles of bike trails, 130 acres of lakes, and numerous parks and tennis courts, McCormick Ranch is a premier destination for those that love to live their lives outdoors. Shopping. McCormick Ranch is just minutes from historic Downtown Scottsdale, which offers some of the best shopping, dining, and entertainment in the Valley Of The Sun. Visit the quaint shops downtown, or take some time to tour the famous Scottsdale Fashion Square, with some of the most upscale shopping and entertainment that the Valley has to offer. McCormick Ranch has two elementary schools (Kiva & Cochise) for grades K-6, two middle-schools (Mohave & Cocopah) for grades 7-8, and two high schools (Chaparral & Saguaro) within it's boundaries. All of these schools fall within the Scottsdale Unified School District, which is consistently ranked as one of the top school districts in the state by the Arizona Department of Education.